Early in 1986: In the US, the MTV show "Video Music Play Off Awards" shows part of an early version of the video for "Take On Me", before it was animated. The Dutch show "Countdown" interviews Steve Barron about the video for "Take On Me" and they show some of the original filmclips which were transformed into drawings. a-ha are interviewed for the Italian TV show "Deejay Television" ["saluto finale"]. This interview is shown at the end of 1986 in Deejay television's "video wanted '86". a-ha are interviewed for a French TV-show ("Top 34"?). 1	"The Royal Celebration of the Youth" is broadcast on UK TV (details under recording date: 8 December 1985). 3	"The Sun Always Shines On TV" is released in Germany. 11	a-ha appear on the UK TV show "Saturday Superstore" to promote "The Sun Always Shines On TV", more than 300 fans storm the BBC TV centre! They are interviewed, participate in a video vote and answer some phone calls. 12	The album "Hunting High And Low" makes it to its highest position of No.2 in the UK album chart, where it stays for 5 weeks. 13	On the UK chat show "Wogan", a-ha perform "The Sun Always Shines On TV". 14	a-ha again perform "The Sun Always Shines On TV" in the "Top Of The Pops" studio (broadcast 16.1.86). 16	a-ha's performance of "The Sun Always Shines On TV" is broadcast on "Top Of The Pops". 18 At the Sjølystsentret in Oslo, the Spellemannspris 85 takes place: a-ha receive two awards ("best album" and "Årets Spellemann"). The first prize is given to them by the Norwegian Eurovision winners "Bobbysocks", the latter is presented to them by Paul Young who promises to continue their snowball fight next time they meet. The Årets Spellemann is a challenge cup which is presented for the first time, it is a bronze gramophone, made by the artist Erlingur Jonsson from Iceland. This award was nearly destroyed by the show's host Åge Aleksandersen, but he and Paul Young fix it before the presentation. 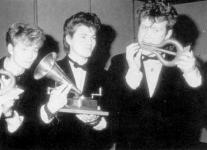 The Årets Spellemann award can only be won by any artist once, so a-ha will not get this award again. Princess Sonja of Norway is present at the awards which are broadcast live on Norwegian TV. After the show, 500 guests are invited to a party at a new restaurant in Sjølyst. a-ha are unable to stay at the party long as they flew in from London and have to return early the next day as they have rented a studio there and are work on their second album. 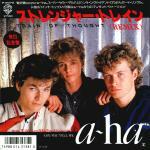 19	Finally a-ha take the No.1 spot in the UK charts with "The Sun Always Shines On TV". A Norwegian TV documentary on the history of a-ha "Norsk pop på verdenstoppen" is broadcast on Norwegian TV. 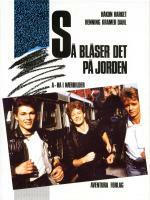 The programme was made by Tor Marcussen and Per Selstrøm and shows the world premiere of the video for "Train Of Thought", amongst interviews from all over the world including the interview a-ha did for Lørdagssirkus in November 1985. Later this year, parts of this programme are shown in different countries all over the world. 21	a-ha perform their number 1 hit on "Top Of The Pops" (br. 23.1.86). 23	The music shop "HMV" in Oxford Street, London becomes full of screaming fans as a-ha appear there to sign copies of their album "Hunting High And Low". a-ha's "number one" performance of "The Sun Always Shines On TV" is broadcast on "Top Of The Pops". 26	"Take On Me" is still hanging in the UK Top 75, it has stayed there for a total of 19 weeks. 30	The news spreads that both Magne and Pål will soon have to do their 16 months of civil service in Norway; Magne has already been called in for April. There is a chance to have the service postponed for one year, but so far, they haven't asked for this. Morten has already done his service. Morten is interviewed on the UK TV programme "Wide Awake Club" (on "TV-AM"), during the period when "The Sun Always Shines On TV" is at No.1 in the UK. In Bormio, Italy, a-ha perform "Take On Me" and "Train Of Thought" in the snow. It is broadcast on the TV show "Buon Anno Musica". The band seem to have a lot of fun throwing snow at each other and knocking each other over while "apparently" playing their instruments! 14	a-ha are interviewed by Bruno Brookes on UK "Radio 1". 16	a-ha are interviewed on the London Radio station "Capital Radio". 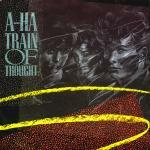 In the USA, a-ha perform "Train Of Thought" and "Hunting High And Low" on the show "Solid Gold". Also in the US, a-ha record adverts for the show "Night tracks" which are shown during 1986 with their video and in December 1986 for christmas greetings. a-ha record another advert for the show "Night Tracks" (Magne falls on the floor during the advert!). a-ha are interviewed for the TV music station "Much Music" in Canada. The forthcoming album "Scoundrel Days" is being recorded and the "strings" section is added to the track "Hunting High And Low" in the Abbey Road studios. 9	"The Sun Always Shines On TV" spends its last week in the UK Top 75; staying there for a total of 12 weeks. The Grammy Awards are broadcast in Germany. 12	On the German TV show "P.I.T. Discoland", a-ha perform "The	Sun Always Shines On TV". 16	Morten is interviewed on the UK TV programme "The Tube". 21	"Train Of Thought" is released in Germany. 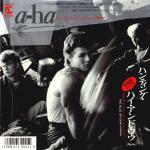 22	With the UK music magazine "No.1", there is a free a-ha booklet. 24	"Train Of Thought" is released in the UK; it is a remix by Alan Tarney and John Hudson of the original version. There is also an extended version available, mixed by Steve Thompson. 28	An interview with a-ha is broadcast on the Canadian TV show "Good Rockin Tonight". 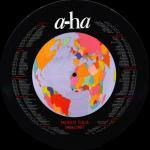 29	This week, the UK magazine "No.1" has a free flexi picture disc containing "The U.S. Dance Mix" of "The Sun Always Shines On TV" which is introduced by a-ha. 30	"Train Of Thought" enters the UK charts at number 23. More tracks for the forthcoming album "Scoundrel Days" are being recorded in a West London studio and the video for the next single "Hunting High And Low" is being made (directed by Steve Barron) and is filmed by the UK TV Show "Blue Peter" (broadcast 2 June 1986?). 1	a-ha perform "Train Of Thought" in the "Top Of The Pops" studio (broadcast 3 April 1986). 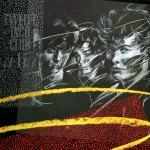 3	a-ha's performance of "Train Of Thought" is broadcast on "Top Of The Pops". 5	Mags presents an award to Clare Usher, the winner of a young persons talent competition on "Saturday Superstore". 10	A Press Conference is held in London to announce a-ha's first world tour, it is featured on several programmes including the American show "Entertainment This Week", the UK TV show "Splash" and Thames News. There's traffic chaos around Piccadilly Circus where the conference is held because so many fans turn up, scream and block all the streets. After the pressconference, a-ha are interviewed for several TV-shows, amongst them the US MTV, the Italian "Prisma". Two competition winners of the TV show "Splash" follow the press conference and meet a-ha afterwards. 12	a-ha do promotion for "Train Of Thought" on the UK TV show "Saturday Superstore". 13	"Train Of Thought" reaches its highest position of No.8 in the UK charts. 14	A big campaign against the use of Opium and drugs in general is organised in Norway. People can buy orchids and the money raised is used to help reduce the opium production in Thailand. Morten actively takes part in this campaign by making adverts, talking about what drugs have done to some of his friends and buying orchids himself. 15	a-ha perform "Train Of Thought" in the "Top Of The Pops" studio (broadcast 17 April 1986). 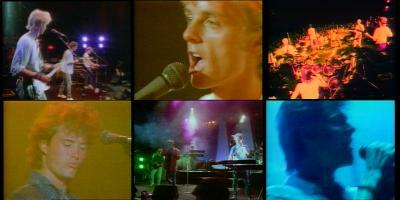 17	a-ha performance of "Train Of Thought" is broadcast on "Top Of The Pops". 25	"Train Of Thought" is released in Japan. Morten talks to Bruno Brookes on the phone at "Radio 1". 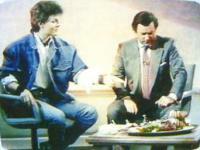 2	Morten is interviewed on the UK chat show "Wogan" and there	is a spread of traditional Norwegian food laid on. 5	The "Musican Award" takes place in Switzerland. 8-14	The "Goldene Rose Festival" in Montreux takes place. This festival is a comedian and TV show festival, but for the first time this year there is a music and media conference (IMMC). There are also many international artists performing at the "Kasino" from 8th until 11th May. The IMMC also chooses the best video of the year; a-ha and Dollie De Luxe are the two Norwegian acts nominated for it. 8	The aeroplane that a-ha are on while travelling out to Montreux gets caught in the middle of an electrical storm. During the "Goldene Rose Festival" in Switzerland, a-ha perform the singles "Take On Me", "The Sun Always Shines On TV", "Train Of Thought" and their next single "Hunting High And Low" at the "Kasino". MTV reports on "Rock in Montreux", amongst this, there is an interview with a-ha. This is quite rare as Terry Slater is trying to prevent all interviews and to shield the guys from the press. 9? During their departure from Génève airport in Switzerland, a-ha (especially Morten) are filmed by "Teenmagazin" (this is broadcast while a-ha are on tour in Tokyo). They make a negative report about Morten not giving autographs the night before. He's asked if he thinks a-ha owe their success to the fans, to this he answers "No". This is quoted all over German newspapers and TV shows for months. 10	a-ha's video for "Take On Me" wins the prize for best video at the IMMC; but a-ha are no longer there to take the prize in person. 18	"Train Of Thought" has its last week in the UK's Top 75; a total of 8 weeks. 23	The single, "Hunting High And Low", is released in Germany. 28	The TV show "Kluzz" shows the Norwegian premiere of the video for "Hunting High And Low". Aftenposten planned to do a report on a-ha each day while they were in Australia, but their pop-journalist had to have an operation, so they were unable to do this. 1	a-ha land in Perth, Australia. They stay at the Orchard Hotel which is besieged of hundreds of fans and teenagers. 2	The single "Hunting High And Low", a remix by Alan Tarney of the original version is released in the UK. 2? On the UK TV show "Blue Peter", they broadcast the making of the video for "Hunting High And Low" which was filmed earlier in the year. Morten attends the "Australian Count Down Awards" in the Hippodrome, he jokes and interviews another famous person. 3	Meanwhile in Australia, a-ha are interviewed by the Norwegian press. a-ha begin their first ever World Tour starting off in the Concert Hall, Perth, Australia. 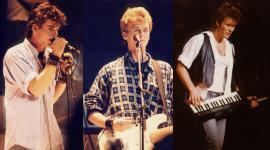 The band which accompany a-ha on this tour are the Americans, Leif Karsten Johansen (Bass player) and Michael Sturgis (Drummer), and the Norwegian, Dag Kolsrud (Keyboards); all of whom studied at the Miami University Of Music. 4	Concert Hall, Perth, Australia. 5	Meanwhile, in England the TV show "Get Fresh" broadcast an interview with Morten and Gian Sanmarco (recorded before the tour). Back in Australia the 3rd show at the Concert Hall, Perth takes place. 6	In a trailer for next week's "Count Down" show in Australia, a-ha are shown announcing their appearance and the tour dates are given. 7	a-ha arrive at Adelaide airport where they are greeted by lots of fans and Morten is interviewed at the airport for the Australian TV show	"C'Mon Kids". Festival Theatre, Adelaide, Australia. 8	Festival Theatre, Adelaide, Australia. Back in the UK, "Hunting High And Low" enters the charts at number 16. 9	The single "Hunting High And Low" is released in Australia to coincide with the Australian leg of the tour. a-ha arrive at Melbourne airport where they are greeted by hundreds of fans; there is a feature on a-ha's arrival in Melbourne on Channel 5, 7, 9 and 10 news. a-ha play their first of four concerts at the Concert Hall, Melbourne, Australia. 10	a-ha's first Press Conference of their world tour is held at the Hilton Hotel, Melbourne, Australia. The press conference is featured on Channel 10 news. In the evening a-ha play their second concert at the Concert Hall, Melbourne, Australia. 11	Concert Hall, Melbourne, Australia. 12	On "Top Of The Pops", they show a clip of "Hunting High And Low" at the Montreux Festival to mark a-ha's new entry in the UK charts. a-ha perform "Hunting High And Low" on the TV show "Count Down" in Australia. 12? The Australian TV show "Good morning Australia" shows a report of a-ha's arrival in Melbourne, of the press conference and of screaming fans. Other Australian stars are interviewed, stating that a-ha will last "at most for five more months". 13	The fourth and final concert at the Concert Hall, Melbourne, Australia. 15	"Hunting High And Low" reaches its highest position of number 5 in the UK charts. 18	Festival Hall, Brisbane, Australia. 21	State Theatre, Sydney, Australia. The first part of an interview with Morten is shown on the Australian TV show "Sounds". 22	State Theatre Sydney, Australia. 23	State Theatre, Sydney, Australia. 24	Another concert at the State Theater, Sydney, Australia finishes off the tour of Australia; to celebrate the end of this leg of the tour there is a party where a-ha are presented with gold awards from WEA records for "Take On Me" and the album "Hunting High And Low". 25	The single "Hunting High And Low" is released in Japan. 28	The second part of the Morten interview is shown on "Sounds". The single "Hunting High And Low" is released in Norway; it goes in the Top 100 at No.10 for just one week. a-ha claim some of the income from the various books released about them, such as the book by Tor Marcussen. The UK TV show "Entertainment This Week" shows part of a-ha's press conference in April where they announced the dates of their world-tour and they show next week's tourdates for Tokyo. A similar piece is also shown on "Entertainment tonight". "I've Been Losing You" and "Maybe Maybe" are written in Sydney, Australia as some last tracks are needed for the forthcoming album "Scoundrel Days". The mini album "Twelve Inch Club" is released in Japan on CD and LP to coincide with the Japanese leg of the tour. It includes mixes of "Train Of Thought", "The Sun Always Shines On TV" and "And You Tell Me". 2	NHK Hall, Tokyo, Japan. There is an interview with the band on the Japanese TV show "Hit Studio Deluxe". 3	Shibuya Kokaido, Tokyo, Japan. 5	Shibuya Kokaido, Tokyo, Japan. On the UK TV show "Euro Tube", there is a feature on a-ha with clips of them performing "Take On Me" in Norway and America plus Morten singing "Hunting High And Low" on a train in Japan (these clips are taken from the the Norwegian special "Norsk pop på verdenstoppen"). The Norwegian programme "Nattrock direkte fra Newcastle" is broadcast in Norway and features a-ha. 7	NHK Hall, Tokyo, Japan. 9	Sun Palace, Fukuoka, Japan. 10	Kokusai Kaikan, Kobe, Japan. 11	Kokusai Kaikan, Kobe, Japan. 12	Festival Hall, Osaka, Japan. 14	Yubin Chokin, Hiroshima, Japan. 15	Shimin Kaikan, Kurashiki, Japan. 19	Bunka Gymnasium, Yokohama, Japan. 20	Shibuya Kokaido, Tokyo, Japan. 22	Nakano Sun Plaza, Tokyo, Japan. 23	A concert is put on to welcome a-ha to Sapporo, Japan. 24	Koseinenkin Hall, Sapporo, Japan. A special a-ha "Scoundrel Days" telephone card was produced in Japan. Whilst in Japan, a-ha perform "Take On Me" and "Train Of Thought" for a couple of Japanese TV shows and they perfom "Hunting High And Low" on another Japanese show. August is spent on tour in America; "I've Been Losing You" replaces "Manhattan Skyline" and "Dream Myself Alive" in the set list. The band go to Hawaii to shoot photos for the cover of the new album "Scoundrel Days" (photographer: Knut Bry). Morten's brother, Håkon goes with them. 10	The single "Hunting High And Low" spends its last week in UK Top 75; a total of 10 weeks. 12	a-ha are in Los Angeles where Pål paints one of the paintings which he later exhibits in Lillehammer (1998). 15	a-ha start their tour of America and Canada; a few hours before the first show at the World EXPO Theater, Vancouver, Canada, Morten has to go St. Paul's hospital to have an operation to burst a blister on his vocal cord. a-ha play at the biggest concert hall of the EXPO areal (housing 4,000 people). The concert starts an hour late due to Morten's operation; only then the doctors permit Morten to use his voice again. In Vancouver, a-ha are interviewed for MTV. Parts of the interview are shown on MTV during the next few days. 16	Paramount Theater, Seattle, USA. 17	Schnitzer Theater, Portland, USA. 19	Concord Pavilion, Concord, USA. 20	Civic Auditorium, Santa Cruz, USA. Original planned show at Arco Arena, Sacramento, USA was cancelled. 22	Universal Amphitheater, Los Angeles, USA. 23? In Los Angeles, a-ha are interviewed for MTV and parts of the interview are shown during the next few days. 23	Universal Amphitheater, Los Angeles, USA. 26	Irvine Meadows Amphitheater, Irvine, USA. 27	SDSU Open Air Amphitheater, San Diego, USA. 28	Gammage Hall, Phoenix, USA. 30	Symphony Hall, Salt Lake City, USA. In Hollywood, the video for "I've Been Losing You" is shot. Photographer Knut Bry is in the team working on the new video. MTV shows some backstage footage of the filming on "Rock'n Roll Evening News". Magne and Morten are interviewed is the US for "Inside Tracks" on the show "Night Tracks". At the Teatersentralen in Oslo, tickets for the concerts at Drammenhallen in February 1987 go on sale at 8 a.m. Some people queue up for 38 hours to be sure of getting a ticket. 3	Civic Center, Oklahoma City, USA. 4	Palmer Auditorium, Austin, USA. 5	Music Hall, Houston, USA. At the US "MTV Awards 1986" in Los Angeles, a-ha are nominated several times: For "The Sun Always Shines On TV" - best art direction, best editing, best cinematograph and for "Take On Me" - best video of the year, best concept video, best group video, best new artist, best special effects, best direction, most experimental. Backstage before and after the concert in Houston, they get the awards for: best concept, best new artist and 1986 viewers choice. 5? Huey Lewis reads all of the a-ha nominations for the MTV awards. They also show an interview with Steve Barron in which he talks about the videos he has worked on with a-ha so far. 6	Bronco Bowl, Dallas, USA; dubbed extracts from this show (MS, IBLY, TSASOTV, CW, TOM) along with interview clips are to be shown on the UK TV show "The Whistle Test" (broadcast 20 September 1986) and other TV shows throughout the world. 8	Sanger Theater, New Orleans, USA. 9	Orpheum Theater, Memphis, USA. 10	Alabama Bautwell Auditorium, Birmingham, USA. 12	Fox Theatre, Atlanta, USA. 13	Bay Front, St. Petersburg / Tampa, USA. 14	Sunrise Theater, Miami, USA. In Miami, a-ha are filmed walking in the harbour and sending a "hello" message back home to Norway. Magne also plays parts of "I've Been Losing You" on a portable keyboard. 18	Performing Arts Theater, Nashville, USA. 19	Kiel Opera House, St. Louis, USA. 20	Midland Theater, Kansas City, USA. In the UK, the TV show "The Whistle Test" broadcasts "a-ha on stage in Dallas 06.09.1986". 21	Music Hall, Omaha, USA. 22	Back in the UK "I've Been Losing You" is released; Jellybean have worked on the extended and dub remix of this song. The B-side is "This Alone Is Love" which is not included on the forthcoming album. 23	Riverside Theater, Milwaukee, USA. 24	Roy Wilkens Auditorium, Minneapolis, USA. The single "I've Been Losing You" is released in Norway. 26	Ford Theater, Detroit, USA. 27	The video for "I've Been Losing You" is shown on the Saturday TV show "Saturday Superstore". 28	Audtorium, Chicago, USA. "I've Been Losing You" enters the UK charts at number 14. 29	Masonic Auditorium, Toledo, USA. "I've Been Losing You" is released in Norway; it goes to No.1 in the charts and stays in the Top 100 for 9 weeks. The album "Scoundrel Days" is also released in Norway; it goes to No.1 and stays in the Top 100 for 28 weeks. The album "Hunting High And Low" goes Double Platinum in the UK. At the "Goldene Europa" awards in Germany, a-ha win an award for best video for "Take On Me" ("Hunting High And Low" is number 2) and send greetings via video from the USA where they are on tour. 1	Clowes Hall, Indianapolis, USA. 2	Music Hall, Cleveland, USA. 3	Tower Theater, Philadelphia, USA. 3? The NRK journalist Hilde Hummelvoll is invited to do an interview with Morten for TV-aksjon. She flies to Philadelphia and the first thing they do is go to the cinema with Terry Slater. They film Morten at the market and they also film fans waiting for the band. Part of the interview is shown on TV later this month. 5	"I've Been Losing You" reaches its highest position of number 8 in the UK charts. 6	Syria Mosque, Pittsburgh, USA. 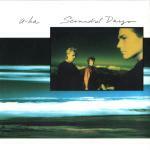 The album "Scoundrel Days" is released in the UK; some of the tracks on this album had already been written in 1984. The album is produced by Alan Tarney, Mags and Pål, mixed by John Hudson and Alan Tarney and features Michael Sturgis on drums. 7	DAR Constitution Hall, Washington DC, USA. Pål is interviewed on the Radio station "Westwood One" in America. 8	Chrysler Hall, Norfolk, USA. The Norwegian TV special on a-ha "Norsk pop på Verden Stoppen" is repeated. 10	Radio City Hall, New York, USA. 11	Radio City Hall, New York, USA. 12	The album "Scoundrel Days" enters the UK charts at its highest position of number 2; it stays there for just two weeks, kept off the top spot by Paul Simon's "Graceland". 13	Bushnell Theater, Hartford, USA. 14	Sheas Theater, Buffalo, USA. 16	Massey Hall, Toronto, Canada. An interview is held in the offices at the TV show, "Much Music" in Canada. The book "Så Blåser Det På Jorden - a-ha i nærbilder" by Morten's brother Håkon Harket and a close friend, Henning Kramer Dahl, is released in Norway. The title comes from an a-ha song, and was the only song they wrote in Norwegian, although it was never released. The book is also presented at the international bookfair in Frankfurt and is already translated into English. 18	Verdon, Montreal, Canada. a-ha are interviewed on the TV show "Fan Club" in Canada. 19	Ocean State Theater, Providence, USA. NRK shows the live TV-Aksjon programme "Hjelp uten grenser" of Kirkens Nødhjelp;. As part of the programme, they broadcast some of the Morten interview by Hilde Hummelvoll. She followed a-ha for two days on their US-tour in Philadelphia. For the first time, the new video for "I've Been Losing You" is shown on Norwegian TV. 23	a-ha win best video of 1986 with "Take On Me" at the West German TV channel "SR" (33% of 78.000 people voted for it). 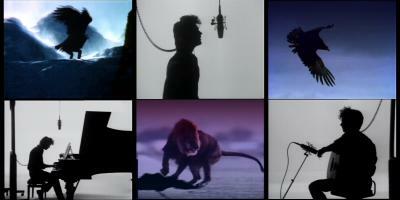 In second place was the video for "Hunting High And Low" which received 21% of the votes. 24	The last concert a-ha do in the States is rather unusual as it takes place at Archbishop Chapelle (catholic girls' school) in New Orleans. 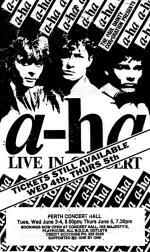 The reason for this concert was that it was part of the sponsor deal which a-ha had for the US tour. Pupils at the different schools were in competition to win the prize: an a-ha concert in their school! 15 years old pupil Debbie Gello was the lucky winner who brought a-ha to her school. 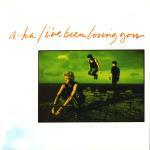 25	"I've Been Losing You" is released in Japan. a-ha are "Guest VJs" for MTV and choose their favourite videos. They play with a chimpanzee in the studio! 25-31	a-ha take some days off before they start the European leg of their tour. 29	In between the US and European tour, Morten goes back to Norway to relax. He chooses Tromsø, but he is hunted by press and media. 31	Morten and Pål arrive in Vienna. Morten does a short interview with the Norwegian press. a-ha have already all bought apartments in Kensington, London, not far away from each other. The album "Scoundrel Days" goes Gold in the UK. 1	Mags arrives in Vienna. a-ha are interviewed backstage in Vienna for the Italian TV show "Pinky". a-ha start the European leg of the tour with the American support band, "Sad Among Strangers". The first gig is at the Stadthalle, Vienna, Austria. The hall has a capacity of 10,000 people and has been sold out for weeks. It's approximately three times bigger than the other halls they have played in so far. The concerts starts 30 minutes late and there are sound problems during the first three songs, especially for Morten. The problems are solved and the shows get very good reviews in the biggest newspaper of Vienna which compares them to the Beatles. 2	Still in Vienna, a-ha hold a pressconference for 40-50 journalists from all over Europe. They talk about the songs they have already written for their third LP and about a smaller tour in September 1987. With the start of the European leg of the tour, a-ha set up a photo contract: every photograher has to sign the contact before getting permission to take photos. Each photographer is given permission to use the pictures in the newspaper or magazine they are working for and are not allowed to sell them to other press around the world. The Norwegian press-photographers' club demands that all newspapers and magazines call their photographers and tell them to boycott a-ha's shows. 6	Théatre du Verdure, Nice, France. 10	Le Zenith, Paris, France. Mags is interviewed on "NRJ Radio" in France (this is also shown on "TV6"). 11	Patinoire de Bordeaux, Bordeaux, France. "I've Been Losing You" spends its last week in the UK Top 75; a total of 7 weeks. 12	Petit Palais, Toulouse, France. a-ha perform "I've Been Losing You" on the French TV show "Champs Elysees". On the TV show "Les enfants de Rock", a-ha are interviewed and perform "I've Been Losing You". In Couches near Mercury (Lyon), the video for "Cry Wolf" is filmed in and round an old castle. It is again directed by Steve Barron and David Yardley; the final cut of the video will be produced in Hollywood. This video contains some scenes which only last 1/25 of a second and are therefore not visible by the human eye, unless they are shown in slow motion. These clips show children saying "I want to be in an a-ha video". The main role in the video is played by a boy called Sebastian from Couches who had never had acted before. The appearance of a-ha in such a small French village is kept secret and therefore, the hotel receptionist isn't allowed to tell anybody that a-ha are staying there. Many of the inhabitants of the village take part in the video production. 15	Circus Krone, Munich, Germany. Morten and Magne are interviewed in Munich for the German TV show "PIT". 19	a-ha go to Hamburg and visit the Hamburger Dom (funfair). The scheduled concert at the Metropol, Berlin, Germany is cancelled instead there is an additional concert on 22 November 1986. 20	Mags and Pål have a game of tennis in the Alsterdorfer Sports Hall, Hamburg during the sound check. The show in the evening at the Alsterdorfer Sporthalle in Hamburg, Germany is nearly cancelled as Morten has hurt a nerve in his back. 21	Alte Oper, Frankfurt, Germany. 22	Festhalle, Frankfurt, Germany (extra show). 23	Forest National Stadium, Brussels, Belgium. 24	"Cry Wolf" is released in the UK; the video to which was filmed earlier in the month at a chateau near Mercury. 25	Doelen, Rotterdam, Holland. An interview with a-ha is shown on the Dutch TV show "Countdown". 26? a-ha go to Copenhagen. 27	Valbyhallen, Copenhagen, Denmark. All photographers from Nordish (Scandinavian) newspaper boycott this concert, except "VG" who have signed the contract with a-ha and can take pictures at that show. 28	Scandinavium, Gothenburg, Sweden. The album "Scoundrel Days" is released in Japan and the single "Cry Wolf" is released in Germany. Magne and Pål are interviewed on the Swedish TV show "God Morn Sverige". Morten doesn't attend as he is resting his voice. The guys draw pictures to give away in a competition. The French TV show "Chew Bum Rock" is broadcast. 29	Isstadion, Stockholm, Sweden. This concert is also boycotted by all Nordic photographers. Out of the four biggest Swedish daily newspapers, only one ("Svenska Dagbladet") reports that a-ha had a concert in Stockholm and explain why they don't have any pictures or concert reviews. There is a Norwegian radio interview with Magne on "Ukeslutt". 30	"Cry Wolf" enters the UK charts at number 28. 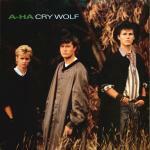 "Cry Wolf" is released in Norway; it goes on to reach No.2 and spends 8 weeks in the Top 100. 1	Morten is interviewed on the UK children's TV program "Blue Peter" and makes friends with Bonnie the dog. They also show a shortened version of the making of the video "Hunting High And Low" which was shown a few months previous and there is the first ever showing of the video for "Cry Wolf". 3	a-ha appear on the UK TV show, "Wogan", where they perform "Cry Wolf" and are interviewed. 4	a-ha start the UK leg of their world tour, the support band on this leg of the tour is the London band "The Smalltown Elephants". The first show is at the Capitol Theatre, Aberdeen, Scotland. 5	Caird Hall, Dundee, Scotland. 6	The "a-ha-mothers", Anne Lise Furuholmen Nøkleby, Gerd Waaktaar Gamst and Henny Harket are guests at NRK studios for the Norwegian morning TV show "Frokost TV". 7	Playhouse, Edinburgh, England; on this occasion, Morten surprises everybody by turning up in a Scottish Kilt. 8	City Hall, Newcastle, England. The CD version of "Scoundrel Days" is released in Norway. 9	The nominations for "Spellemann '86" are announced. a-ha's album " Scoundrel Days" is nominated in the category "Best Pop Album" and "Hunting High And Low" is nominated for "Best video". 10	City Hall, Sheffield, England. 11	City Hall, Sheffield, England. 12	Nottingham Royal Concert Hall, England. 13	Nottingham Royal Concert Hall, England. 14	The UK newspaper "News of the World" prints a scandalous interview with Morten's former girlfriend Patrice Burke, who sold her "story" to the newspaper after Morten split with her. 15	Hammersmith Odeon, London, England. 16	Hammersmith Odeon, London, England. a-ha are filmed performing "Cry Wolf" in the "Top Of The Pops" studio (to be broadcast 18 December 1986). The Norwegian chat magazine "Se og Hør" has voted Morten as the sexiest man of Norway. 17	Hammersmith Odeon, London, England. 18	Morten and Mags are interviewed by Bruno Brookes on UK "Radio 1", Pål can't make it as he has flu, but the concert still goes ahead in the evening at the Hammersmith Odeon, London, England. 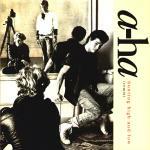 Nine songs from this show can be found on the bootleg LP "Take On a-ha". 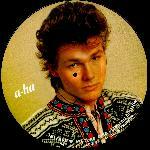 a-ha's performance of "Cry Wolf" is broadcast on "Top Of The Pops". 19	Hammersmith Odeon, London, England. The Norwegian TV show "Videospeilet" shows Madonna performing "Take On Me" on an American TV show. Morten and Magne go to the Queen Elizabeth Children's Hospital, Hackney Road, London and turn on the lights of the hospital's Norwegian Christmas tree (sponsored by Oslo). 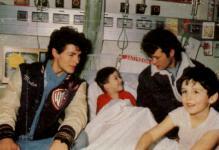 They also visit some of the young patients in the hosptital. The English press follows them. Pål is not with them as he is still unwell. 20	Hammersmith Odeon, London, England. 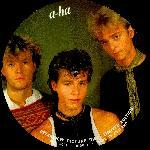 a-ha appear on the live UK TV show, "Saturday Superstore", they are interviewed and perform "Cry Wolf". 22	Brighton Centre, Brighton, England. 24	International Centre, Bournemouth, England. a-ha are interviewed on the UK TV show "TV-AM". 25	a-ha spend Christmas in Norway. Morten is invited to the home of Lars Roar Langslet and they sing Christmas-songs around the piano. 28	"Cry Wolf" reaches its highest position of number 5 in the UK charts, it stays there for 2 weeks. 29	Royal Albert Hall, London, England. 30	Royal Albert Hall, London, England. 31	Royal Albert Hall, London, England; at this show, a-ha are dressed in smoking suits. The album "Hunting High And Low" goes to No.1 in Norway, Sweden and Austria, it makes it into the Top 20 in 14 other countries. It goes Double Platinum (600,000 units) in the UK, Platinum (300,000 units) in Canada, USA, Italy, Japan, Taiwan, France, Germany and goes gold (100,000 units) in Korea, Argentina, Italy and Israel. "The Sun Always Shines On TV" comes 21st in the best selling songs of 1986. a-ha also get 6 (out of 15) "MTV awards" for their video "Take On Me" and 2 for "The Sun Always Shines On TV". The album "Scoundrel Days" goes Silver (50,000 units) in The Phillipines, Korea and Israel; Gold (100,000 units) in Taiwan; platinum (300,000 units) in the UK, Canada and France and double platinum (600,000 units) in Norway and New Zealand. 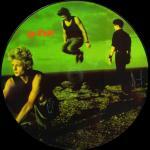 The interview picture disc "Baktabak", containing one of the interviews recorded in September 1985 is released.